The Children Are Our Future incorporates, supports and promotes leaders working on diverse projects benefiting youth around the country. The result is a small but powerful community of connected project directors and volunteers working towards a sustainable future. Adventure Maker Space is an authentic outdoor childhood program that guides children in developing vital risk-management skills. Hammers and nails, saws and shovels, tool safety instruction, fort and treehouses building, slingshot shooting, campfire cooking, fire safety training, knot tying, lasso throwing, rope swings, plastic tomahawk throwing, toy making, photovoltaic engineering and various child-directed science projects in the woods. Archery Range is open for the first hour only. All Adventure Maker Space activities are supervised by trained professional Mentors. Parents may drop-off their child, or stay to watch and socialize with other parents. Life Adventures Counseling & Consulting provides experience through adventure has the power to foster genuine healing for individuals, couples, families, or groups. In a safe, non-judgmental, and playful atmosphere, Life Adventures Counseling and Consulting strives to provide client-centered, strength-based services that promote interpersonal, social, and psychological wellness. Growing Up Wild is a bilingual nature immersion program in Corralitos, CA. The mission of Growing Up Wild is to help youth and families with children gain nature awareness, life skills, and physical fitness through camping activities. Growing Up Wild is dedicated to making our programs culturally relevant for youth and families with children living in and around Santa Cruz County. As part of that effort, we offer our programs bilingually in Spanish and English. One thing that makes our program unique is that we have access to a private campground located in the redwoods just outside of Watsonville. This 4-acre site in the forest is an ideal location to hold camping programs and other outdoor events. We have developed partnerships with local community organizations, such as the City of Watsonville Parks and Community Services Department and Bay Area Wilderness Training, aka BAWT. The experience of running our program has shown beyond the shadow of a doubt that not only is nature adventure programming an effective form of positive youth development, but also that a bilingual program is greatly needed and welcomed in our community. Wild Child runs full-day, immersive nature awareness programs for homeschool kids ages 5-12. Each day, kids visit a different stunning outdoor location -- be it oak-studded valleys, tidepools, or redwood forests. Wild Child uses use the great outdoors to help kids develop their academic, social, and emotional skills through connection with nature. Founded on a cooperative model, Wild Child has a strong emphasis on free play, unstructured time in nature, and cultivating joy – helping kids learn to be a positive influence in the world without taking life (or themselves) too seriously. Womanhood Inspirations' mission is to support teen girls, ages 13-17 years old, and their mothers, in the transition from young woman to woman. Through conversation and experiential education we explore the many changes that occur in adolescence and apply conversation and experiential education to what it means to be a healthy and balanced woman. Whether there are lifetime goals and dreams to integrate or by simply seeking a lifestyle to support a fulfilling life, the tools, activities we incorporate will fuel the passion and inspiration already present or bring to the surface what may be buried underneath waiting to be discovered. It will be a different experience for each teen though all subjects we cover will apply. There is power in playfulness, joy in presence, laughter in lightheartedness, solace in sadness and expression in anger. As we are here to experience all of these and the gifts that come with them, our programs allow the time and space to do this, and more! The Artemis Project envisions a world of healthy, empowered girls that grow up supported to become self-actualized women. Education and Mentorship with Love. Currently a collection of offerings for girls 8-18 that includes summer camps, day long intensive trainings, weekend retreats, after school programs and monthly teen meet up activities. We specialize in mentorship and rites of passage for men, young men and boys and offer monthly and seasonal events, including support for fathers and sons. Our aim is to facilitate experiences that are fun, meaningful, and unforgettable, as a way of supporting the skills and connections our community needs to thrive. Visit our project page for upcoming adventures and community events. The Wat Leu Village Children's Fund was started to support the children of a remote mountain village in Sihanoukville, Cambodia. Their mission is to provide year-round, cost-free, English-based education to all children of the Wat Leu Village and surrounding areas by introducing sustainable solutions to current educational challenges. They are committed to ensuring these bright and happy youngsters have basic necessities such as clean drinking water, a regular hot meal and essential medical care in addition to growing and sustaining their school. ​The Puppetry Institute serves the Central Coast, and surrounding areas, giving all who walk through the doors a chance to experience first hand the beauty and wonder of an art form that encompasses all the other arts into one. Puppetry is more then just a sock with googly eyes -- it's design, construction, movement, masks, sewing -- the list goes on. We offer a wide variety of classes in puppetry, theater, and FX skills, that cannot only be counted as art credits but also math, science, and engineering. Growing Greatness stands for equity and justice and is manifesting the GREATNESS that exists within each of us and our communities. We provide workshops that are interactive and reflective to grow both personal capacity and community capacity. We facilitate bringing out the GREATNESS that already exists within us and our communities. For each community, we design and implement workshops to create the outcomes specifically desired and tailored for your work and projects. Upstate FORT Upstate Family Oriented Recreation and Therapy is a community organization committed to fostering skills, empowerment, empathy, and connection in the Upstate South Carolina region. We are committed to empowerment and connection for kids and families through adventure, recreation, and therapy. Our services fall into two different tracks: recreational programs and mental health therapy. Come play with us, heal with us, and grow with us! New Adventures Counseling From meltdowns over homework, to managing the stress from social media and electronics over-use. From dealing with low self-esteem, to healing from parent's divorce. From learning how to handle intense emotions as a child or teen, to how to handle the anxiety associated with transitioning into college. It's hard. We can help. Find the support you and your child need at New Adventures. Pictures That Give is a camera sharing program that uses photography to help those in need. We started with a small group in Cambodia using photos taken by children to raise money for shoes and rice. The reward was so great we decided to grow the program in our local community. Our mission is to use the art of photography to empower, advocate, and increase funding for individuals or groups through partnerships with non-profits or social service agencies. If you know of a group or organization that might benefit from this type or program, we'd love to hear from you. The following organizations were projects of The Children Are Our Future before leaving to continue their work as independent organizations. We are honored and grateful to collaborate and support their success serving children and youth and adults in the local and global communities they serve! 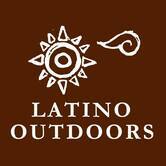 Latino Outdoors supports Latino Environmental Education Professionals to serve as role models and leads for guided hikes and outdoor excursions for Latino communities— all ages and generations, bilingual and Spanish-speaking —with a focus on providing positive transformative experiences with cultural relevancy. Latino Outdoors supports networks of Latino OEE professionals for the purpose of establishing a familia for mutual support, professional development, references, and other convening opportunities within the current profession and future development. Increase reciprocity - so trained youth workers can utilize the support services of any organization within the network. Partner with the outdoor retail industry - to insure that the gear that is loaned to youth agencies and schools is high quality. Share best practices - through conferences and web based technology. Advocate - because the more government and the public understands the power of nature as educator, the stronger our networks become, and ultimately… the more people get outdoors. Mountains 2 Sea's mission is to empower youth using outdoor adventure learning to help them achieve their personal potential. Through outings in the mountains and on the sea, participants will develop a strong foundation for personal health and well-being, expand their understanding of environmental awareness, and gain practical life skills.